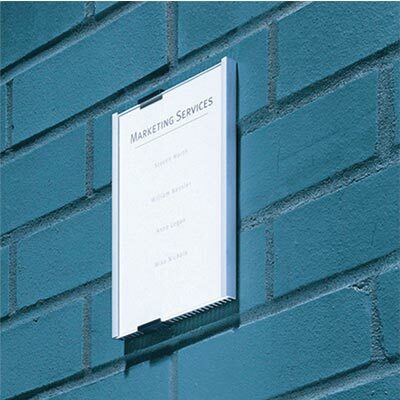 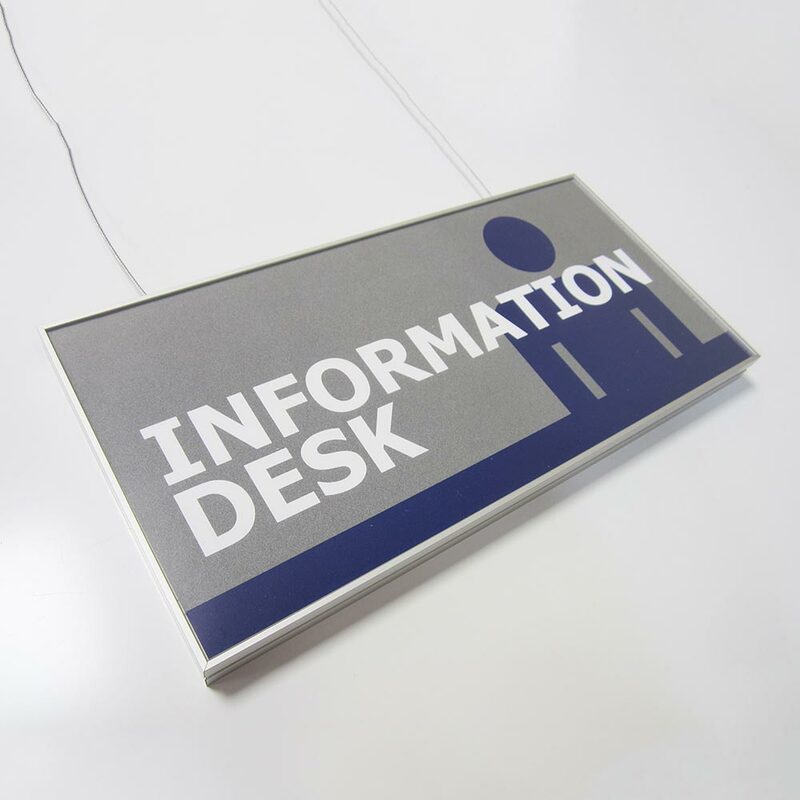 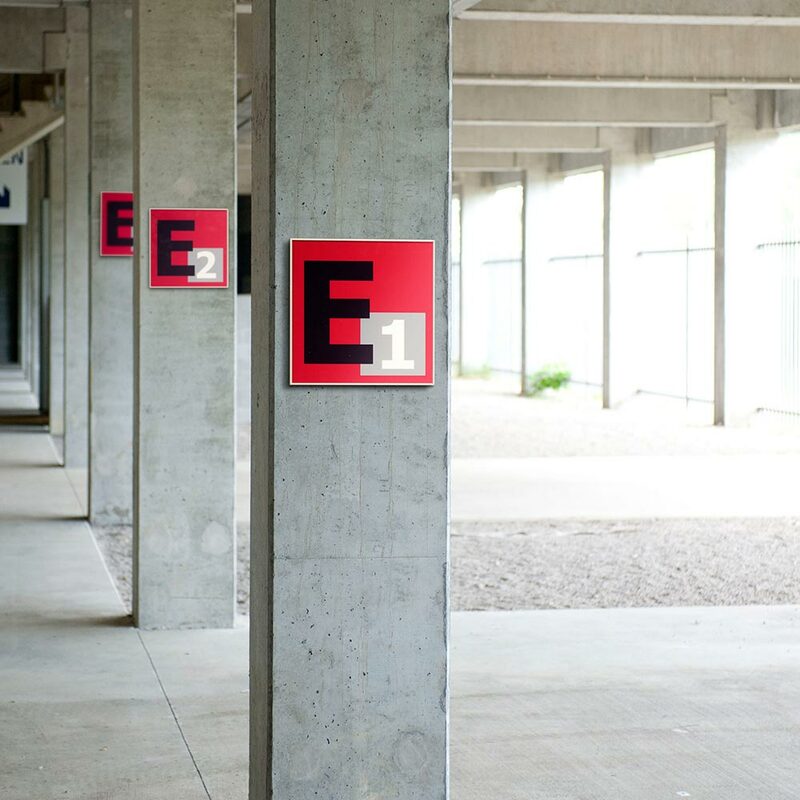 A contemporary, slim system for the display of signs and notices. 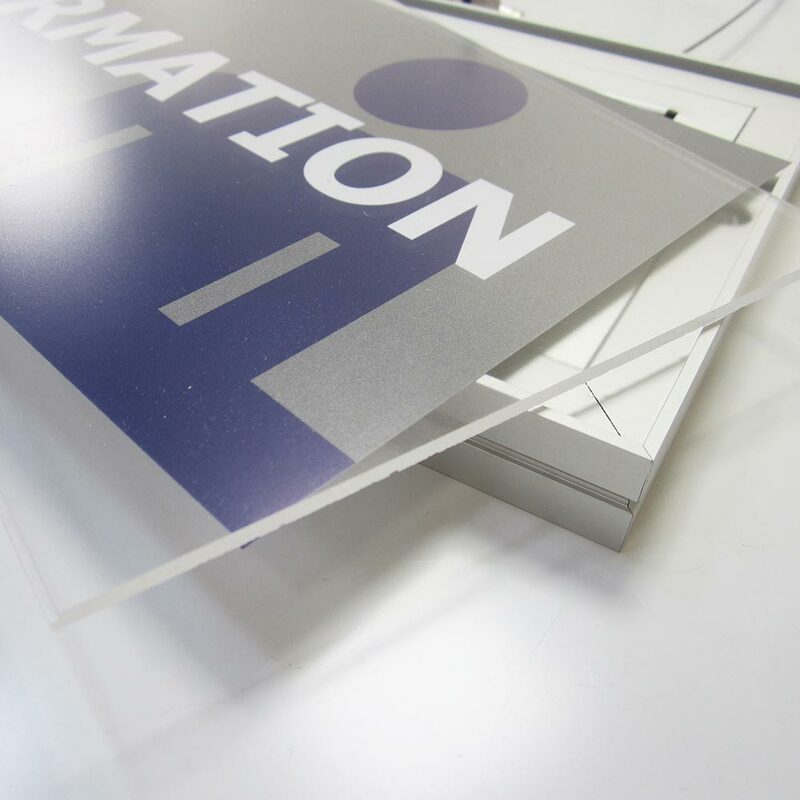 iSign ceiling suspended sign is constructed from a silver anodised aluminium profile with an anti-reflective acrylic cover. 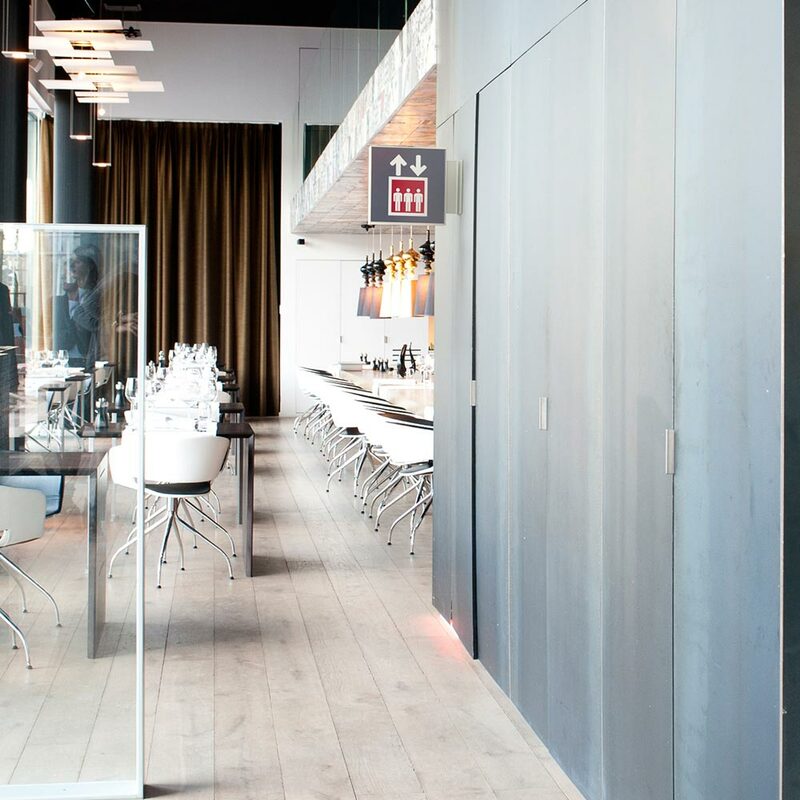 This is where form follows function with a simple, user-friendly feature. 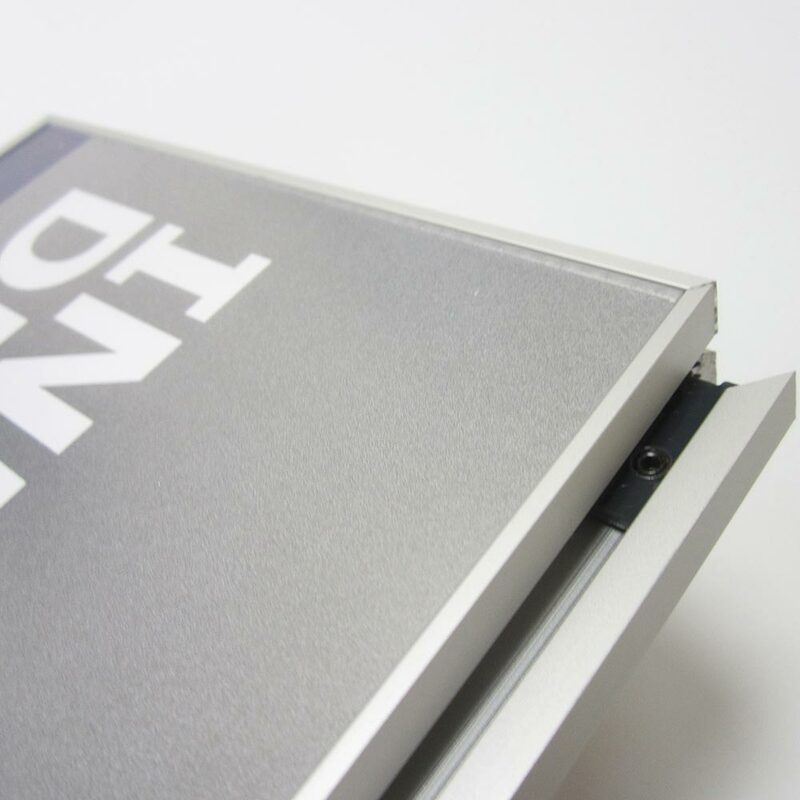 The frames open with an ingenious, patented, spring mechanism that’s cleverly concealed on the reverse of each unit. 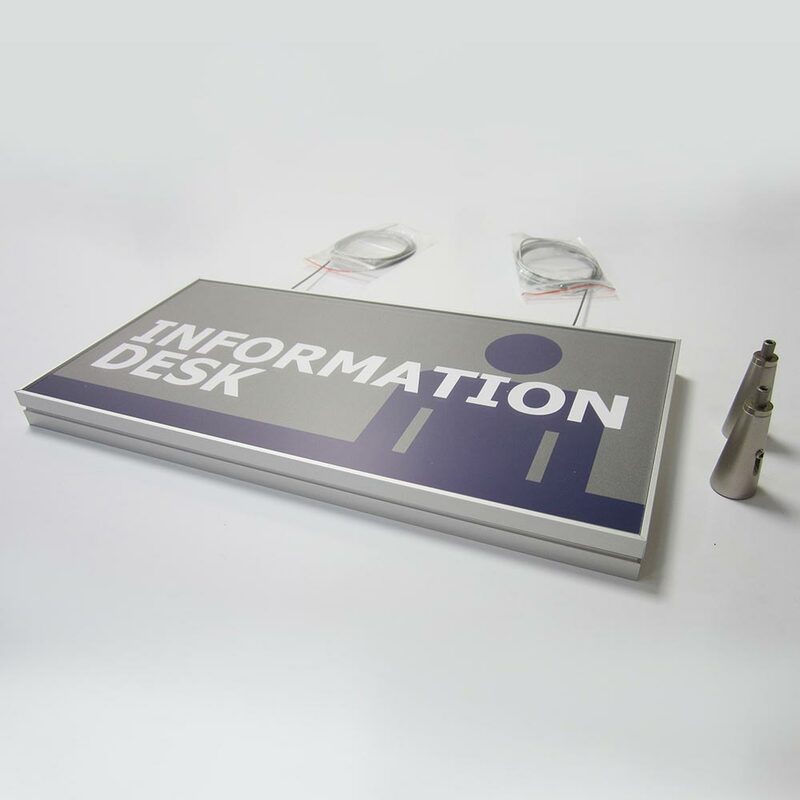 Projecting signs, hanging signs and a desk stand, complete the iSign range and are available in set dimensions to create flexible, coordinated wayfinding and interior branding systems. 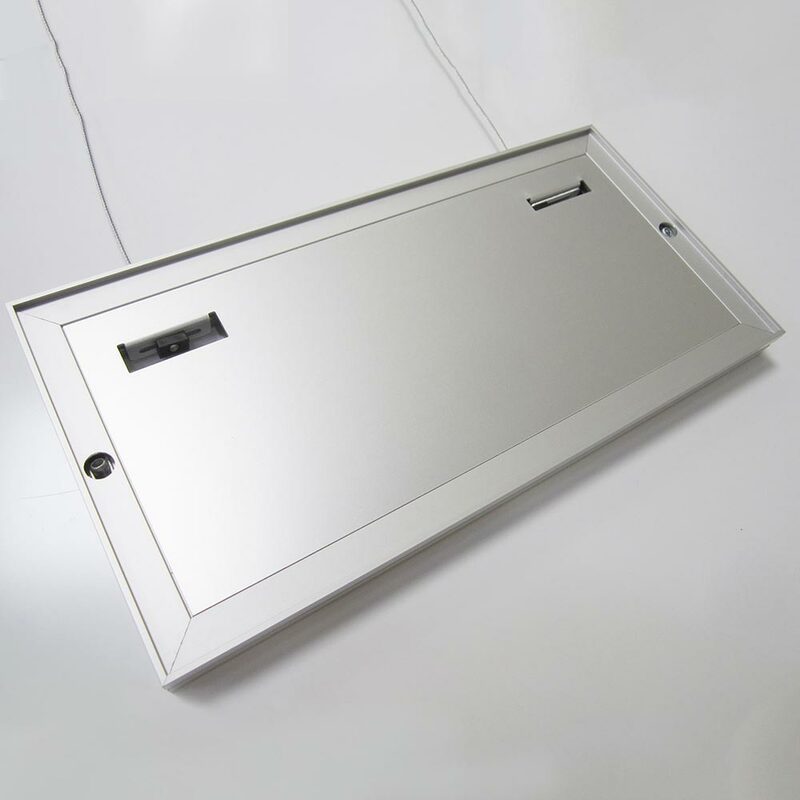 The seamless looking frames have a flush-face finish which, as well as delivering a contemporary design, eliminates the collection of dust along the frame’s edges. 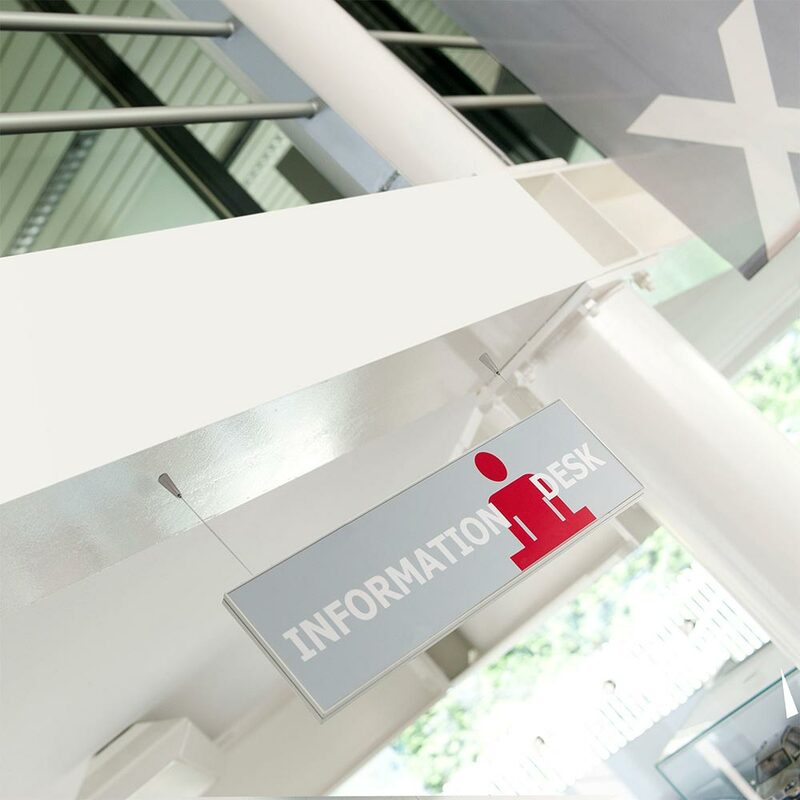 With design consistency, the system can be used to create fully complimentary systems for offices, hospitals, museums and educational establishments alongside retail and hospitality environments.